Transcription of Obituary in the Primitive Methodist Magazine by W.W.
On Wednesday, November 7th, we carried to the grave the remains of one of the oldest members in our Connexion. By the kindness of the Vicar of Chadderton, the Revs. W. Whitham and G.A. Lucas conducted a service in the Chadderton Church. A large number was present, representing our Middleton Road and Heald’s Green Churches. On Sunday, November 11th, the Rev. Wm. Whitham conducted a memorial service in the Middleton Road Church, and in speaking of the long service of Mary Gartside said she loved her Lord with an intense, passionate love. Her Heavenly Father permitted her to live to a fine old age – for she was in her eighty-fourth year – and to the last her mind was clear and her faith bright. Mary Gartside must have been a member of our Church for over seventy years. Her father and mother joined our Church so early as fifteen years after the first Camp meeting was held on Mow Cop. She was born in the little village of Chadderton Fold, near Oldham, in the year 1822; her father was born in the same village in the year 1798; and he was converted under a sermon preached in the open air in the year 1822 by the Rev. John Verity. The call to go up higher came very sudden and unexpected: but she was ready. It was her constant saying: “I am ready, and am only waiting for Him”. I have not been able to identify Mary’s marriage from on-line records, therefore I have not been able to identify her parents. 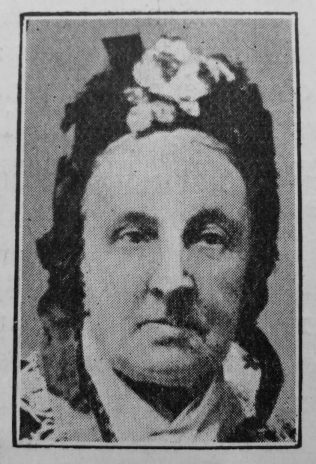 She married John Gartside (abt1817-1878), a railway labourer. Census returns identify that they brought up three children. Mary died in early November 1906 at Chadderton, Oldham, Lancashire.